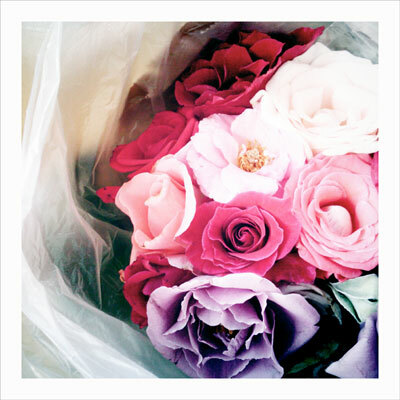 ... beautiful garden roses courtesy of a sweet and generous lady at the farmers' market. she smiled and quietly placed them in my canvas bag. a simple gesture of kindness can go a long way... happy monday to you! that is so sweet! yes, i definitely agree with you about simple gestures. :) happy monday to you too! Good things always happen to good people! Sweet!!! What a lovely and thoughtful gesture. Enjoy!